Krish Engineer, A Company Based In City Of Ahmedabad Which Is Industrial Nucleus Of Gujarat State, Is A Leading Manufacturer & Supplier Of Range Of Automatic Transfer Switch. 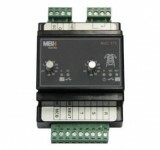 This Automatic Transfer Switch Are Design To Cater Low Voltages Power Networks And Manufactured Using The Fine Grade Of Material And Keeping In Mind The Latest Industrial Electrical Standard. An Automatic Transfer Switch (ATS) Is A Type Of Switch Which Spontaneously Transfers A Power Supply From Its Principal Source To A Backup Source When It Senses A Failure Or Outrage In The Principal Source. 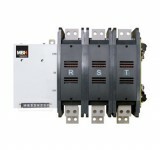 At Krish Engineer , Customer Can Avail Range Of Automatic Transfer Switch For A System Ranges 100 A -3000A. We Are Pioneer Manufacturer Of ATS In Ahmedabad, Gujarat.The ATS Is Designed For Use In Low Voltage Power Networks In Order To Reduce And Virtually Eliminate Outage Periods Of Critical Loads. Extended Product Lifetime Through Minimization Of Arcing Time. 3 Stable Switch Positions (Main Source, Neutral, Emergency Source). Individual Phase Enclosure To Improve Breaking Capacity.